Brian Begin, men’s empowerment coach and founder of thefearlessman.com, is a featured interview guest on the latest episode of ‘Leverage Podcast’ at InnerConfidence.com. Begin recently sat down with the podcast’s host Robbie Kramer and discussed his longtime battle with shyness and debilitating anxiety, in addition to dealing with gut damage and chronic inflammation in his body. “I realized that for me, a lot of my shyness came from gut damage… your gut is largely connected to your self-esteem and your confidence and it’s connected to a lot of depression. If you don’t get that taken care of, you can try to change your subconscious mind all you want; it will change and grow slowly, but it’s going to be hard. Begin further details the concept of the body’s energy, going deep and straightening out the problems that create relationships with others. “The happier you get, the more successful you become… that’s the key to success, being happy. Begin also shares his personal journey in a new FEARLESS article, “From Extremely Shy Guy to Confidence Coach”, which further expands on his interview topics with Kramer. Listen to the full Leverage Podcast with Brian Begin at InnerConfidence.com. 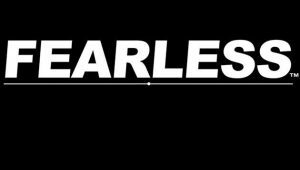 For more information about becoming FEARLESS with Brian Begin and Dave Stultz, visit www.thefearlessman.com.